Be careful, shoplifters. The security guard here packs heat. 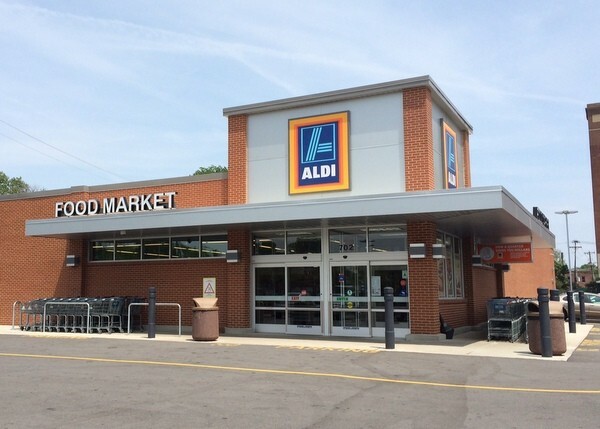 When his pepper spray backfired right into his own face, the 72-year-old security guard at the north Kingshighway Aldi's shot a shoplifting suspect in the ankle and turned him over to police. 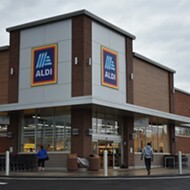 St. Louis Metropolitan Police said a 41-year-old man was trying to leave the Aldi's grocery store with a cart of meat he didn't pay for at 1:35 p.m. Sunday when the security guard confronted him. The security guard unleashed his pepper spray, but the wind caused the spray to blow back into the guard's face. The victim took advantage of the guard's sudden incapacitation by punching him in the face, causing him to stagger backward, police said. When the would-be shoplifter stepped forward to continue wailing on the guard twice his age, the guard pulled out his not-so-secret weapon and fired shots at the suspect, striking him once in the ankle, police said. The suspect was taken to a hospital for treatment. Once he was released, police took him into custody. Officers responded to a "shooting" and upon arrival, located the suspect, who was suffering from a gunshot wound to the ankle and reported that he was shot by a security guard at the above location. 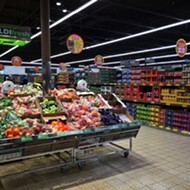 Investigation revealed the suspect was leaving the store with a cart of meat that he did not purchase, when the victim, who is an armed security guard, confronted him. A struggle ensued between the suspect and the victim. The victim attempted to stop the suspect by spraying him with pepper spray, but the wind caused the pepper spray to splash back in the victim's face. The suspect then punched the victim in the face, causing the victim to stagger backward. The suspect stepped toward the victim to continue assaulting him, at which time the victim drew his firearm and fired shots at the suspect, striking him once in the ankle. The suspect was conveyed to a hospital and treated and released. Upon being released, the suspect was taken into custody. The investigation is ongoing.